To permanently remove a Clipchamp account (for both Create and Utilities), log in and go to your user profile at https://util.clipchamp.com/en/profile, then click "Delete Account" in the section at the bottom of the page. This will delete the account you are logged in with for Clipchamp Create and Utilities (because the same account is used for both products). 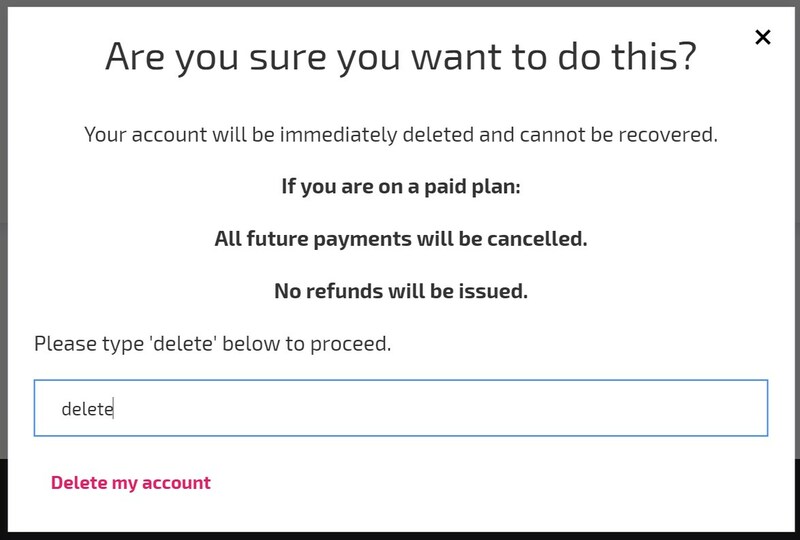 If you would instead like to cancel a paid plan, but keep your account, please see: how do I cancel my plan? 2. Click on Delete my account at the bottom of the page. After clicking on "Delete my account", you'll get logged out and redirected to the Clipchamp homepage. Your account for both Clipchamp Create and Clipchamp Utilities will be deleted, and any paid plans you are on will be cancelled.